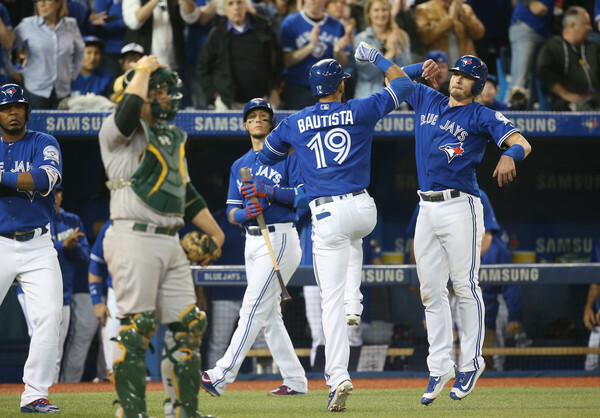 Jays Offence Comes Alive, Takes Series Against The A’s. Friday night the Toronto Blue Jays would welcome in the Oakland Athletics for a three game series. Prior to the start of Friday’s game, news would break that 1st baseman, Chris Colabello, has been suspended for 80 games for breaking MLB’s policy on the usage of PED’s. With news hitting the teammates and fans around the arena as they flowed into the Rogers Centre, the Toronto team would look to get past the news and focus on the series, against the Athletics. The Blue Jays would send Aaron Sanchez to the mound to face off against Oakland’s young gun, Sonny Gray. 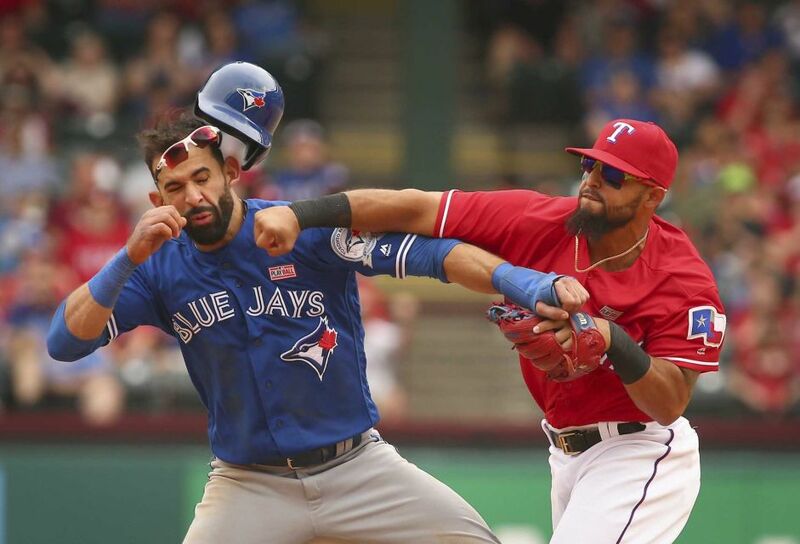 Sanchez would get shaken up early, as the Athletics would score four runs in the first two innings. 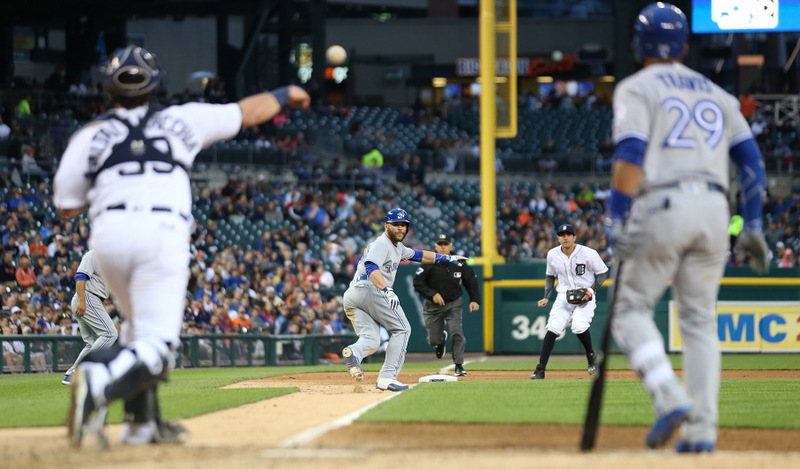 The Jays would be unable to catch up, even after a late inning effort. To start the bottom of the sixth inning, three Jays would walk to first and after a couple hits; the blue birds would only get a run in. They would manage three more hits within the next couple of innings, but would eventually fall in game one, by a score of 8-5. 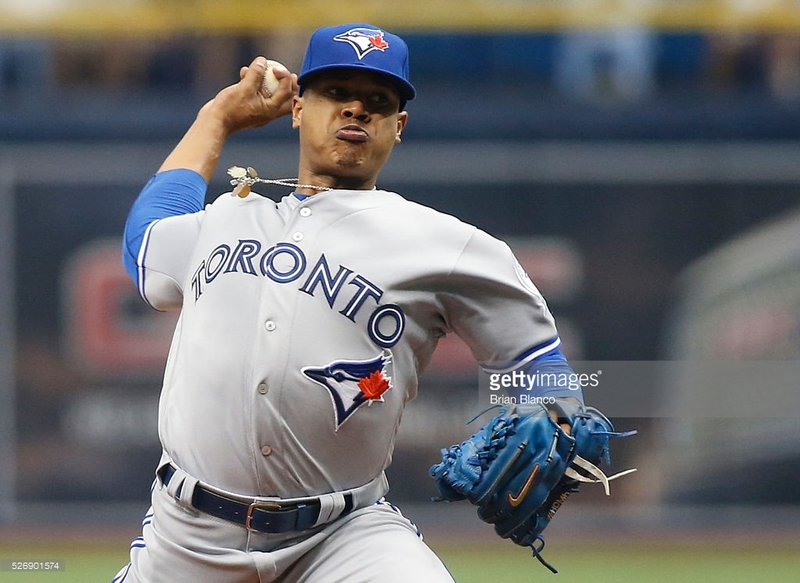 Sanchez would only go 4.1 innings giving up 6ER, striking out only 3. His opponent Gray would go 7 innings, giving up only 3 runs, striking out 7. Saturday’s matchup would feature J.A. Happ on the mound for the blue birds, as he was looking to improve on his 2-0 starts. The Athletics would send right-hander Chris Bassitt to the bump in efforts to get another win. Oakland would strike first as Mark Canha would homer on a 2-0 count to right field. It was then the Jays turn to respond. The entire Jays line-up with the exception of Kevin Pillar would see the plate in the bottom of the first inning, managing only two runs. 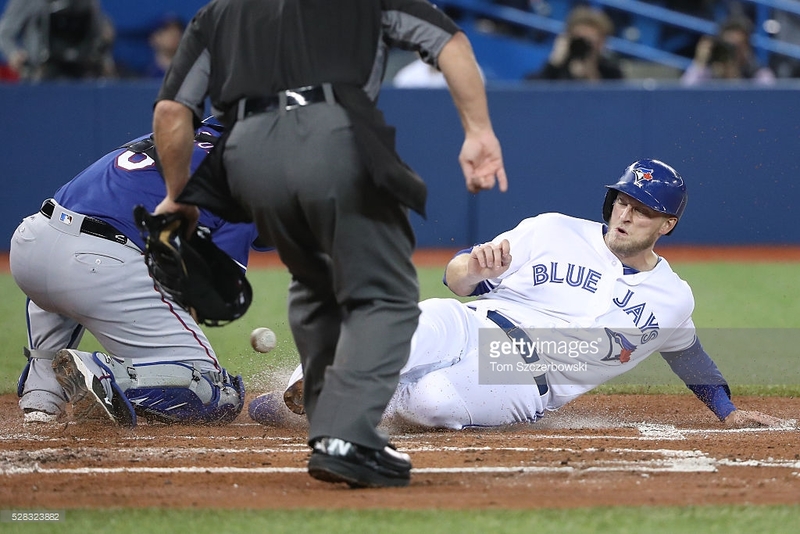 Happ would silence the A’s bats in the top of the second, allowing the floodgates to open up once again, as three runs crossed the plate thanks to a home run from Donaldson, scoring Pillar and Carrera. The Athletics would be unable to produce more then a pair of runs the rest of the game, which was of no notice to the Toronto club as they would score one run in, for four consecutive innings. 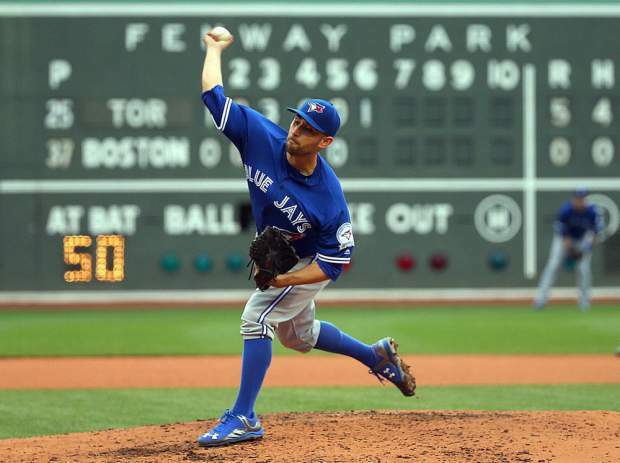 Happ would go seven strong innings, giving up only 3ER off 7H, only striking out 1. His counterpart Bassitt would allow 6ER over 9H through 5 innings pitched, striking out 5. Sunday would be the rubber match between the two clubs on former Oakland Athletic, Josh Donaldson bobblehead day. In front of a near sold out crowd of 46,300, the Jays would look to get back to .500 before welcoming the Chicago White Sox into the Rogers Centre Monday night. The fans in attendance were expecting to see Marcus Stroman pitch, however they would see a familiar face in Drew Hutchison. The feeling was split mutual on Hutchison taking the mound. He went 13-5 last season, but spent some of the time in Buffalo, pitching for the AAA Bisons’. Prior to the game, Josh Donaldson would receive his 2015 Silver Slugger & Players Choice awards. You could say he was having a day, he wont soon forget. When it came to time to play the game, just like Saturday, Oakland would get on the board first scoring a run in the second, as Khris Davis would knock one out to center off a 1-1 count. Hutchison would then settle down and only give up another earned run in his 5.2 innings of work. He would have the run support behind him early, as the boys in blue would score four runs in the third, and two in the fourth. Carrera, who was in the lead off position in replace of Michael Saunders, would homer on a full count. Through some light singles into shallow center field, Donaldson would see his way home as well as Tulowitzki soon after. In the fourth, Jose Bautista would take his turn and score a two-run home run, scoring Donaldson. After that, the Jays would find their bats go silent, but still able to hold onto a 6-3 win, taking the series from Oakland, making it their second series win of the season. Hutchison would only allow 4 hits striking out 5, while Eric Surkamp of the A’s would give up 6ER, over 9H through 4.2 innings. Sunday’s game would be Surkamp’s second loss of the season. Roberto Osuna would receive the save as he came in the ninth, and struck out the only three batters he would face, giving up not a single hit. The Chicago White Sox will now come into town for a three game series. The Toronto faithful will be seeing a few former Jays as Brett Lawrie, Melky Cabrera and Dioner Navarro will all be back facing off against their former club. Marcus Stroman will be on the hill tonight, as he will look for victory number four. The Sox will counter with Miguel González as they look to stay on top of the AL Central division. First pitch takes place at 7:07PM EST.